Abstract：Today’s search engines are primarily operated based on terms and string matching. While this term-based paradigm has been pretty successful in the past 15 years, it has started to show many limitations given the rapid evolution of the Web. The Web today contains not only static documents but also dynamic information about real world entities. It is becoming a digital copy of the world, capturing data from people, products, services, locations, and even objects. This new Web requires a new paradigm that can directly fulfill people’s information needs and empower them with knowledge. In this talk, I will introduce a new entity-based search paradigm and various knowledge mining techniques to construct knowledge graphs from different types of data. I will show how we can use the knowledge to understand queries, enable semantic matching, and provide direct answers to natural language queries. Is an Assistant Managing Director at Microsoft Research Asia, where he oversees multiple research groups including Web Search and Mining, Natural Language Computing, Data Management and Analytics, and Internet Economics and Computational Advertising. He and his team of researchers have developed many key technologies that have been transferred to Microsoft’s Online Services Division, including Bing Search Engine and Microsoft Advertising. He has published more than 250 papers at international conferences and journals. He is a Fellow of the IEEE and a Distinguished Scientist of the ACM. He currently serves on the editorial boards of ACM Transactions on Information System (TOIS) and is a member of the International World Wide Web (WWW) Conferences Steering Committee. 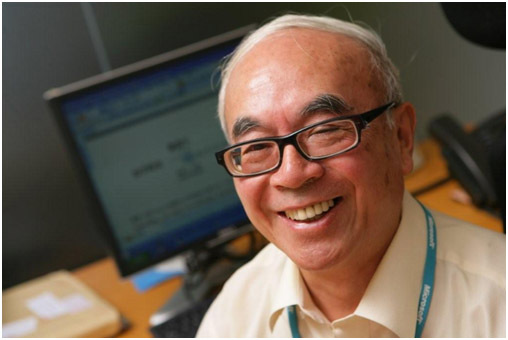 In recent years, he has served as program co-chair of WWW 2008 and as general co-chair of ACM SIGIR 2011. He received a Bachelor of Science in electrical engineering from the National Tsing Hua University in Taiwan in 1990. He earned both a Master of Science and a doctorate in electrical and computer engineering from the University of California at Santa Barbara in 1994 and 1997, respectively. More information about him can be found at http://research.microsoft.com/en-us/people/wyma/. Abstract：Social media data-mining opens up many interesting research questions, whose answers correspond to elegant mathematical models that go beyond traditional NLP techniques. In this talk we present two examples, namely estimating intensity from counts and identifying the most chatty users. In both examples, naive heuristic methods do not take full advantage of the data. In contrast, there are mathematical models, in the first case inhomogeneous Poisson process and in the second case multi-arm bandit, with provable properties that better extract knowledge from social media. Xiaojin Zhu is an Associate Professor in the Department of Computer Sciences at the University of Wisconsin-Madison, with affiliate appointments in the Departments of Electrical and Computer Engineering and Psychology. Dr. Zhu received his B.S. and M.S. degrees in Computer Science from Shanghai Jiao Tong University in 1993 and 1996, respectively, and a Ph.D. degree in Language Technologies from Carnegie Mellon University in 2005. 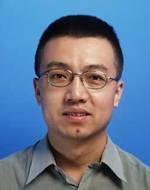 He was a research staff member at IBM China Research Laboratory from 1996 to 1998. 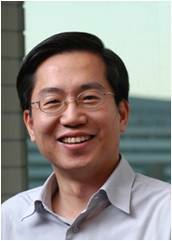 Dr. Zhu received the National Science Foundation CAREER Award in 2010. His research interest is in machine learning, with applications in natural language processing, cognitive science, and social media. http://pages.cs.wisc.edu/~jerryzhu/. Abstract：Current machine translation methodology translates document sentence by sentence without considering any discourse and document information. In this talk, I will briefly review the state-of-the-art of discourse research from both linguistic and computational viewpoints, and then focus on the discussion of how machine translation can benefit from document and discourse information. Finally, my talk is concluded with future direction discussion. Deep learning is the new frontier of machine learning re- search, which has led to many recent breakthroughs in English natu- ral language processing. However, there are inherent differences between Chinese and English, and little work has been done to apply deep learning techniques to Chinese natural language processing. In this paper, we pro- pose a deep neural network model: text window denoising autoencoder, as well as a complete pre-training solution as a new way to solve clas- sical Chinese natural language processing problems. This method does not require any linguistic knowledge or manual feature design, and can be applied to various Chinese natural language processing tasks, such as Chinese word segmentation. On the PKU dataset of Chinese word segmentation bakeoff 2005, applying this method decreases the F1 error rate by 11.9\% for deep neural network based models. We are the first to apply deep learning methods to Chinese word segmentation to our best knowledge. Web queries are time sensitive which implies that user’s intent for information changes over time. How to recognize temporal intents behind user queries is crucial towards improving the performance of search engines. However, to the best of our knowledge, this problem has not been studied in existing work. In this paper, we propose a timebased query classification approach to understand user’s temporal intent automatically. We first analyzed the shared features of queries’ temporal intent distributions. Then, we present a query taxonomy which group queries according to their temporal intents. Finally, for a new given query, we propose a machine learning method to decide its class in terms of its search frequency over time recorded in Web query logs. Experiments demonstrate that our approach can understand users’ temporal intents effectively. With the tremendous increasing of information, the demands of in-formation from people advanced the development of Nature Language Process-ing (NLP). As a consequent, Sentence compression, which is an important part of automatic summarization, draws much more attention. Sentence compression has been widely used in automatic title generation, Searching Engine, Topic de-tection and Summarization. Under the framework of discriminative model, this paper presents a decoding method based on Integer Linear Programming (ILP), which considers sentence compression as the selection of the optimal com-pressed target sentence. Experiment results show that the ILP-based system maintains a good compression ratio while remaining the main information of source sentence. Compared to other decoding method, this method has the ad-vantage of speed and using fewer features in the case of similar results obtained. In the process of developing a domain-specific Chinese-English ma-chine translation system, the accuracy of Chinese word segmentation on large amounts of training text often decreases because of unknown words. The lack of domain-specific annotated corpus makes supervised learning approaches un-able to adapt to a target domain. This problem results in many errors in transla-tion knowledge extraction and therefore seriously lowers translation quality. To solve the domain adaptation problem, we implement Chinese word segmenta-tion by exploring n-gram statistical features in large Chinese raw corpus and bi-lingually motivated Chinese word segmentation, respectively. Moreover, we propose a method of combining multiple Chinese word segmentation results based on linear model to augment domain adaptation. For evaluation, we con-duct experiments of Chinese word segmentation and Chinese-English machine translation using the data of NTCIR-10 Chinese-English patent task. The expe-rimental results showed that the proposed method achieves improvements in both F-measure of the Chinese word segmentation and BLEU score of the Chi-nese-English statistical machine translation system. Unlike English, Chinese sentences do not have a strict syntactic structure and ellipsis is a common phenomenon, which weaken the effective-ness of syntactic structure in argument extraction. In Chinese event extraction, lots of arguments cannot be extracted from the sentence successfully, because of the loose connection between the nominal trigger and its arguments. This paper brings forward a novel argument extraction approach based on trigger mapping. It maps the nominal trigger to its predicate and uses it as a key to extract syntac-tic features for classification. Experimental results on the ACE 2005 Chinese Corpus show that, in terms of F1-measure in argument identification and role determination, our approach achieves an obvious improvement. Weighted alignment hypergraph  is potentially useful for statistical machine translation, because it is the first study to simultane- ously exploit the compact representation and fertility model of word alignment. Since estimating the probabilities of rules extracted from hypergraphs is an NP-complete problem, they propose a divide-and- conquer strategy by decomposing a hypergraph into a set of independent subhypergraphs. However, they employ a Bull’s algorithm to enumerate all consistent alignments for each rule in each subhypergraph, which is very time-consuming especially for the rules that contain non-terminals. This limits the applicability of this method to the syntax translation models, the rules of which contain many non-terminals (e.g. SCFG rules). In response to this problem, we propose an inside-outside algorithm to ef- ficiently enumerate the consistent alignments. Experimental results show that our method is twice as fast as the Bull’s algorithm. In addition, the efficient dynamic programming algorithm makes our approach applicable to syntax-based translation models. Since the quality of statistical machine translation (SMT) is heavily dependent upon the size and quality of training data, many approaches have been proposed for automatically mining bilingual text from comparable corpo-ra. However, the existing solutions are restricted to extract either bilingual sen-tences or sub-sentential fragments. Instead, we present an efficient framework to extract both sentential and sub-sentential units. At sentential level, we con-sider the parallel sentence identification as a classification problem and extract more representative and effective features. At sub-sentential level, we refer to the idea of phrase table’s acquisition in SMT to extract parallel fragments. A novel word alignment model is specially designed for comparable sentence pairs and parallel fragments can be extracted based on such word alignment. We integrate the two levels’ extraction task into a united framework. Experi-mental results on SMT show that the baseline SMT system can achieve signifi-cant improvement by adding those extra-mined knowledge. Data quality is one of the key factors in Statistical Machine Translation (SMT). Previous research addressed the data quality problem in SMT by corpus weighting or phrase scoring, but these two types of methods were often investigated independently. To leverage the dependencies between them, we propose an intuitive approach to improve translation modeling by collective corpus weighting and phrase scoring. The method uses the mutual reinforcement between the sentence pairs and the extracted phrase pairs, based on the observation that better sentence pairs often lead to better phrase extraction and vice versa. An effective graph-based random walk is designed to estimate the quality of sentence pairs and phrase pairs simultaneously. Extensive experimental results show that our method improves performance significantly and consistently in several Chinese-to-English translation tasks. Populating existing knowledge base with new facts is important to keep the knowledge base fresh and most updated. Before importing new knowledge into the knowledge base, entity linking is required so that the enti-ties in the new knowledge can be linked to the entities in the knowledge base. During this process, entity disambiguation is the most challenging task. There have been many studies on leveraging name ambiguity problem via a variety of algorithms. In this paper, we propose an entity linking method based on Chi-nese Semantic Knowledge where entity disambiguation can be addressed by re-trieving a variety of semantic relations and analyzing the corresponding docu-ments with similarity measurement. Based on the proposed method, we devel-oped CASIA_EL, a system for linking entities with knowledge bases. We vali-date the proposed method by linking 1232 entities mined from Sina Weibo to a Chinese Semantic knowledge base, resulting in an accuracy of 88.5\%. The re-sults show that the CASIA_EL system and the proposed algorithm are poten-tially effective. The performances of machine learning based opinion analysis sys-tems are always puzzled by the insufficient training opinion corpus. Such prob-lem becomes more serious for the resource-poor languages. Thus, the cross-lingual opinion analysis (CLOA) technique, which leverages opinion resources on one (source) language to another (target) language for improving the opinion analysis on target language, attracts more research interests. Currently, the transfer learning based CLOA approach sometimes falls to over fitting on single language resource, while the performance of the co-training based CLOA ap-proach always achieves limited improvement during bi-lingual decision. Target to these problems, in this study, we propose a mixed CLOA model, which esti-mates the confidence of each monolingual opinion analysis system by using their training errors through bilingual transfer self-training and co-training, re-spectively. By using the weighted average distances between samples and clas-sification hyper-planes as the confidence, the opinion polarity of testing sam-ples are classified. The evaluations on NLP&CC 2013 CLOA bakeoff dataset show that this approach achieves the best performance, which outperforms transfer learning and co-training based approaches. Entity Linking (EL) is a fundamental technology in Natural Language Processing and Knowledge Engineering. Previous works mainly focus on linking mentioned names recognized in news or articles to knowledge base. However, in social network, user-generated content is quite different from typical news text. Users sometimes use words more informally, even create new words. One entity may have different aliases mentioned by web users, so identifying these aliases calls for more attention than before. Several methods are proposed to mine aliases and a learning-to-rank framework is applied to combine different types of feature together. A binary classifier based on SVM is trained to judge whether the top one candidate given by ranking algorithm is accepted. The evaluation results of NLP\&CC 20131 Entity Linking Track shows the effectiveness of this framework. In text categorization (TC), labeled data is often limited while unlabeled data is ample. This motivates semi-supervised learning for TC to improve the performance by exploring the knowledge in both labeled and unlabeled data. In this paper, we propose a novel bootstrapping approach to semi-supervised TC. First of all, we give two basic preferences, i.e., sufficiency and diversity for a possibly successful bootstrapping. After carefully considering the diversity preference, we modify the traditional bootstrapping algorithm by training the involved classifiers with random feature subspaces instead of the whole feature space. Moreover, we further improve the random feature subspace-based bootstrapping with some constraints on the subspace generation to better satisfy the diversity preference. Experimental evaluation shows the effectiveness of our modified bootstrapping approach in both topic and sentiment-based TC tasks. News articles express information by concentrating on named entities like who, when, and where in news. Whereas, extracting the relationships among entities, words and topics through a large amount of news articles is nontrivial. Topic modeling like Latent Dirichlet Allocation has been applied a lot to mine hidden topics in text analysis, which have achieved considerable performance. However, it cannot explicitly show relationship between words and entities. In this paper, we propose a generative model, Entity-Centered Topic Model(ECTM) to summarize the correlation among entities, words and topics by taking entity topic as a mixture of word topics. Experiments on real news data sets show our model of a lower perplexity and better in clustering of entities than state-of-the-art entity topic model(CorrLDA2).We also present analysis for results of ECTM and further compare it with CorrLDA2. 指代消解一直是自然语言处理中的核心问题.以往将指代消解转化成分类问题,基于机器学习构建的指代 消解系统,尽管在性能上有了较大提升,但是在消解过程中所采用的传统机器学习方法,大多仅含单层非线性变换 的浅层学习结构,其局限性在于有限样本和计算单元情况下对复杂函数的表示能力有限,面临复杂问题处理时的 泛化能力受到一定制约.本文提出一种利用 DBN(deep belief nets)模型的 Deep learning 学习机制进行基于语义特 征的指代消解方法. DBN模型由多层无监督的RBM(restricted Boltzmann machine)网络和一层有监督的 BP(back-propagation)网络组成,RBM 网络确保特征向量映射达到最优,最后一层 BP 网络分类 RBM 网络的输 出特征向量,从而训练指代消解分类器.在 ACE04 英文语料及 ACE05 中文语料上进行相关测试,实验结果表明, 增加 RBM 训练层数可以提高系统性能.此外,引入对特征集合的抽象分层因素,也对系统性能提升产生积极作用. This paper presents a discriminative latent variable model (DPLVM) based classifier for improving the translation error detection performance for statistical machine translation (SMT). It uses latent variables to carry additional information which may not be expressed by those original labels and capture more complicated dependencies be- tween translation errors and their corresponding features to improve the classi¯cation performance. Specifically, we firstly detail the mathemati- cal representation of the proposed DPLVM method, and then introduce features, namely word posterior probabilities (WPP), linguistic features, syntactic features. Finally, we compare the proposed method with Max- Ent and SVM classifiers to verify its effectiveness. Experimental results show that the proposed DPLVM-based classifier reduce classification er- ror rate (CER) by relative 1.75\%, 1.69\%, 2.61\% compared to the MaxEnt classifier, and relative 0.17\%, 0.91\%, 2.12\% compared to the SVM clas- sifier over three different feature combinations. A number of search user behavior studies show that queries with un-clear intents are commonly submitted to search engines. Result diversification is usually adopted to deal with those queries, in which search engine tries to trade-off some relevancy for some diversity to improve user experience. In this work, we aim to improve the performance of search results diversification by generating an intent subtopics list with fusion of multiple resources. We based our approach by thinking that to collect a large panel of intent subtopics, we should consider as well a wide range of resources from which to extract. The resources adopted cover a large panel of sources, such as external resources (Wikipedia, Google Keywords Generator, Google Insights, Search Engines query suggestion and completion), anchor texts, page snippets and more. We selected resources to cover both information seeker (What a user is searching for) and information provider (The websites) aspects. We also proposed an efficient Bayesian optimi-zation approach to maximize resources selection performances, and a new tech-nique to cluster subtopics based on the top results snippet information and Jac-card Similarity coefficient. Experiments based on TREC 2012 web track and NTCIR-10 intent task show that our framework can greatly improve diversity while keeping a good precision. The system developed with the proposed tech-niques also achieved the best English subtopic mining performance in NTCIR-10 intent task. As the emergence of various social media, short texts, such as weibos and instant messages, are very prevalent on today’s websites. In order to mine semantically similar information from massive data, a fast and efficient matching method for short texts has become an urgent task. However, the conventional matching methods suffer from the data sparsity in short documents. In this paper, we propose a novel matching method, referred as semantically similar hashing (SSHash). The basic idea of SSHash is to directly train a topic model from corpus rather than documents, then project texts into hash codes by using latent features. The major advantages of SSHash are that 1) SSHash alleviates the sparse problem in short texts, because we obtain the latent features from whole corpus regardless of document level; and 2) SSHash can accomplish similar matching in an interactive real time by introducing hash method. We carry out extensive experiments on real-world short texts. The results demonstrate that our method significantly outperforms baseline methods on several evaluation metrics. For one-sidedness of the various qualitative expansion methods, we propose a query terms selection method based on Grey Relational Analysis (GRA).We called the fusion expansion technique with GRA (FET-GRA). It calculates weight of expansion term by varied qualitative expansions and comprehensive weight by FET-GRA and thus extracts expansion term in terms of the weight. The experiment result of TREC dataset shows the method (FET-GRA) is substantially superior to TFIDF, Mutual Information , Local Context Analysis. Learning to rank, which can fuse various of features, performs well in microblog retrieval. However, it is still unclear how the features function in microblog ranking. To address this issue, this paper examines the contribution of each single feature together with the contribution of the feature combinations via the ranking SVM for microblog retrieval modeling. The experimental re-sults on the TREC microblog collection show that textual features, i.e. content relevance between a query and a microblog, contribute most to the retrieval per-formance. And the combination of certain non-textual features and textual fea-tures can further enhance the retrieval performance, though non-textual features alone produce rather weak results. Sentiment analysis of Chinese microblogs is important for scientific research in public opinion supervision, personalized recommendation and social computing. By studying the evaluation task of NLP\&CC 2012, we mainly implement two tasks, namely the extraction of opinion sentence and the determination of sentiment orientation for microblogs. First, we manually label the sample of microblog corpus supplied by the organization, and expand the sentiment lexicon by introducing the Internet sentiment words; second, we construct the different feature sets based on the analysis of the characteristic of Chinese microblogs. Finally, we use SVM classifier to generate a model based on training corpus, and implement the predication of test corpus. Evaluation results show our work has good performance on two tasks. Microblog, as a way of online communication, can generate large amounts of information in a very short period. Therefore, how to retrieve the latest relevant information becomes a hot research area. Different from tradi-tional information retrieval (IR), the microblog retrieval emphasizes fresh con-tents of the information. In order to solve this problem, we extend the tradition-al IR methods by taking into account the posting time. We propose a time-sensitive retrieval model, which takes the time factor as a prior probability. In the retrieval model, we introduce the pseudo relevance feedback technology as a query expansion approach to improve retrieval performance. Furthermore, we introduce a strategy to filter the initial retrieval results, which takes post quality factors into account including entropy and link features. Experiments on Twitter corpus show that our algorithm is effective to improve the retrieval perfor-mance, and the retrieval results can meet the real time retrieval need well. Text summarization aims at getting the most important content in a condensed form from a given document while retains the semantic information of the text to a large extent. It is considered to be an effective way of tackling information overload. There exist lots of text summarization approaches which are based on Latent Semantic Analysis (LSA). However, none of the previous methods consider the term description of the topic. In this paper, we propose a comprehensive LSA-based text summarization algorithm that combines term description with sentence description for each topic. We also put forward a new way to create the term by sentence matrix. The effectiveness of our method is proved by experimental results. On the summarization performance, our ap-proach obtains higher ROUGE scores than several well known methods. Chinese word segmentation dictionary based on the Double-Array Trie Tree has higher efficiency of search, but the dynamic insertion will con-sume a lot of time. This paper presents an improved algorithm-iDAT, which is based on Double-Array Trie Tree for Chinese Word Segmentation Dictionary. After initialization the original dictionary. We implement a Hash process to the empty sequence index values for base array. The final Hash table stores the sum of the empty sequence before the current empty sequence. This algorithm adopt Sunday jumps algorithm of Single Pattern Matching. With slightly and reason-able space cost increasing, iDAT reduces the average time complexity of the dynamic insertion process in Trie Tree. Practical results shows it has a good op-eration performance. Tibetan word segmentation (TWS) is the basic problem for Tibetan natural language processing. The paper reformulates the segmentation as a syllable tagging problem, and studies the performance of TWS with different sequence labeling models. Experimental results show that, the TWS system with conditional random field achieves the best performance in the condition of current 4-tag set, at the same time, the other models achieve good results too. All the above show that, the segmentation as a syllable tagging problem that is an efficient approach to deal with TWS. Semantic analysis microblog data is a challenging, emerging research area. Unlike news text, microblogs pose several new challenges, due to their short, noisy, contextualized and real-time nature. In this paper, we investigate how to link entities in microblog posts with knowledge base and adopt a cascade linking approach. In particular, we first use a mention expansion model to identify all possible entities in the knowledge base for a mention based on a variety of sources. Then we link the mentions with the corresponding entities in the knowledge base by collectively considering lexical matching, popularity probability and textual similarity. Microblog is one of the most widely used web applications. Weibo, which is a microblog service in China, produces plenty of opinionated messages every second. Sentiment analysis on Chinese Weibo impacts many aspects of business and politics. In this work, we attempt to address the opinion target extraction, which is one of the most important aspects of sentiment analysis. We propose a unified approach that concentrates on phrase-level target extraction. We assume that a target is represented as a subgraph of the sentence’s dependency tree and define the grammatical relations that point to the target word as TARRELs. We conduct the extraction by classifying grammatical relations with a cost-sensitive classifier that enhances performance of unbalanced data and figuring out the target subgraph by connecting and recovering TAR-RELs. Then we prune the noisy targets by empirically summarized rules. The evaluation results indicate that our approach is effective to the phrase-level target extraction on Chinese microblog messages. Passive voice is widely used in English while it is less used in Chinese, which is more prevalent in patent documents. The difference requires us to transform the voice in Chinese-English machine translation in order to make the result more smooth and natural. Previous studies in this field are based on statistics, but the effect is not very good. In this paper we propose a strategy to deal with the Chinese-English passive voice transformation from the perspective of semantic. Through analyzing the sentences, a series of transformation rules are summarized. Then we test them in our system. Experiment results show that the transformation rules can achieve an accuracy of 89.1\% overall. To alleviate the problem with Chinese being poor at telling the dif-ference between spoken and written English which is important for learning and using the language, we propose to classify English sentences with bilingual in-formation into the two categories automatically. Based on the text categoriza-tion technology, we explore a variety of features, including words, statistics and their combinations, and find that a classification accuracy nearly 95\% can be achieved in the open test through Chinese characters + sentence length + aver-age syllable number, or other similar combinations. The authors are supposed to discover the valuable public opinions based on the massive social media data (the comments data, social relation data and location data collected from social website like twitter), so that it could help users to make better decisions during shopping. In order to solve this problem, the authors used micro-blog data collected from Sina as an example and pro-posed an opinion mining system based on the distributed computing system (Hadoop and related projects). This system was designed for a general purpose. It is not only for the restaurant area but also for the other fields like electronic products. Traditional methods for sentiment analysis mainly focus on the con-struction of emotional resources based on the review corpus of specific areas, and use phrase matching technologies to build a list of product feature words and opinion words. These methods bring about the disadvantages of inadequate model scalability, low matching precision, and high redundancy. Besides, it is particularly difficult to deal with negative words. In this work, we designed a unified framework based on finite state matching machine to deal with the problems of emotional element extraction. The max-matching principal and negative words processing can be integrated into the framework naturally. In addition, the framework leverages rule-based methods to filter out illegitimate feature-opinion pairs. Compared with traditional methods, the framework achieves high accuracy and scalability in emotional element extraction. Exper-imental results show that the extracting accuracy is up to 84\%, which has in-creased by 20\% comparing with traditional phrase matching techniques. Patent prior-art search is an necessary step to ensure that no previous similar disclosures were made before granting an patent. The task is to identify all relevant information which may invalidate the originality of a claim of a patent application. Using the whole patent or extracting high indicative terms to form a query reduces the search burden on the user. To date, There are no large-scale experiments conducted specifically for evaluating query generation techniques used in patent prior-art search in multiple languages. In the following paper, we firstly introduced seven methods for generating patent queries for ranking. Then a large-scale experimental evaluation was carried out on the CLEF-IP 2009 multilingual dataset in English, French and German. A detail comparison of the different methods in terms of performance and efficiency has been performed in addition to the use of full-length documents as queries in the patent search. The results show that some methods, work well in information retrieval in general, fail to achieve the same effectiveness in the patent search. Different methods demonstrated distinct performance w.r.t query and document languages. Information disclosure in annual reports is a mandatory re- quirement for publicly traded companies in China. The quality of in- formation disclosure will reduce information asymmetry and therefore support market efficiency. Currently, the evaluation of the information disclosure quality in Chinese reports is conducted manually. It remains an untapped field for NLP and text mining community. The goal of this paper is to develop automatic assessment system for information disclo- sure quality in Chinese annual reports. Our assessment system framework incorporates different technologies including Chinese document model- ing, Chinese readability index construction, and multi-class classifica- tion. Our explorative and systematic experiment results show that: 1) our automatic assessment system can produce solid predictive accuracy for disclosure quality, especially in "excellent" and "fail" categories; 2) our system for Chinese annual reports assessment achieves better predic- tive accuracy in certain perspective than the counterparts of the English annual reports prediction; 3) our readability index for Chinese docu- ments, as well as other findings from system performance, may provide enlightenment for a better understanding about the quality features of Chinese company annual reports. The traditional method of Named Entity Translation Equivalents ex-traction is often based on large-scale parallel or comparable corpora. But the practicability of the research results is constrained by the relatively scarce of the bilingual corpus resources. We combined the features of Chinese and Japanese, and proposed a method to automatically extract the Chinese-Japanese NE trans-lation equivalents based on inductive learning from monolingual corpus. This method uses the Chinese Hanzi and Japanese Kanji comparison table to calcu-late NE instances similarity between Japanese and Chinese. Then, we use in-ductive learning method to obtain partial translation rules of NEs through ex-tracting the differences between Chinese and Japanese high similarity NE in-stances. In the end, the feedback process refreshes the Chinese and Japanese NE similarity and translation rule sets. Experimental results show that the proposed method is simple and efficient, which overcome the shortcoming that the tradi-tional methods have a dependency on bilingual resource. This paper is concerned with exploring efficient domain adap- tation for the task of statistical machine translation, which is based on extracting sentence pairs (pseudo in-domain subcorpora, that are most relevant to the in domain corpora) from a large-scale general-domain web bilingual corpus. These sentences are selected by our proposed un- supervised phrase-based data selection model. Compared with the tra- ditional bag-of-words models, our phrase-based data selection model is more effective because it captures contextual information in modeling the selection of phrase as a whole, rather than selection of single words in isolation. These pseudo in-domain subcorpora can then be used to train small domain-adapted spoken language translation system which outperforms the system trained on the entire corpus, with an increase of 1.6 BLEU points. Performance is further improved when we use these pseudo in-domain corpus/models in combination with the true in-domain corpus/model, with increases of 4.5 and 3.9 BLEU points over single in- and general-domain baseline system, respectively. Negative and speculative expressions are popular in natural lan-guage. Recently, negation and speculation detection has become an important task in computational linguistics community. However, there are few related research on Chinese negation and speculation detection. In this paper, a su-pervised machine learning method with conditional random fields (CRFs) is proposed to detect negative and speculative information in scientific litera-ture. This paper also evaluates the effectiveness of each feature under the character-based and word-based framework, as well as the combination of features. Experimental results show that the single-word feature and the part of speech feature are effective, and the combined features improve the per-formance furthest. Our Chinese negation and speculation detection system in sentence level achieves 94.70\% and 87.10\% of accuracy, respectively. Traditional Mongolian and Cyrillic Mongolian are both Mongolian languages that are respectively used in china and Mongolia. With similar oral pronunciation, their writing forms are totally different. A large part of Cyrillic Mongolian words have more than one corresponds in Traditional Mongolian. This makes the conversion from Cyrillic Mongolian to Traditional Mongolian a hard problem. To overcome this difficulty, this paper proposed a Language model based approach, which takes the advantage of context information. Experimental results show that, for Cyrillic Mongolian words that have multiple correspondence in Traditional Mongolian, the correct rate of this approach reaches 87.66\%, thereby greatly improve the overall system performance. Personal Family Network is an important component of social net-works, therefore, it is of great importance of how to extract personal family re-lationships. We propose a novel method to construct personal families based on bootstrapping and coreference resolution on top of a search engine. It begins with seeds of personal relations to discover relational patterns in a bootstrap-ping fashion, then personal relations are further extracted via these learned pat-terns, finally family networks are fused using cross-document coreference reso-lution. The experimental results on a large-scale corpus of Gigaword show that, our method can build accurate family networks, thereby laying the foundation for social network analysis. This paper studies the emotion classification task on microblogs. Given a message, we classify its emotion as happy, sad, angry or surprise. Existing methods mostly use the bag-of-word representation or manually designed features to train supervised or distant supervision models. However, manufacturing feature engines is time-consuming and not enough to capture the complex linguistic phenomena on microblogs. In this study, to overcome the above problems, we utilize pseudo-labeled data, which is extensively explored for distant supervision learning and training language model in Twitter sentiment analysis, to learn the sentence representation through Deep Belief Network algorithm. Experimental results in the supervised learning framework show that using the pseudo-labeled data, the representation learned by Deep Belief Network outperforms the Principal Components Analysis based and Latent Dirichlet Allocation based representations. By incorporating the Deep Belief Network based representation into basic features, the performance is further improved. Chinese microblog is a popular Internet social medium where users express their sentiments and opinions. But sentiment analysis on Chinese microblogs is difficult: The lack of labeling on the sentiment polarities restricts many supervised algorithms; out-of-vocabulary words and emoticons enlarge the sentiment expressions, which are beyond traditional sentiment lexicons. In this paper, emoticons in Chinese microblog messages are used as annotations to automatically label noisy corpora and construct sentiment lexicons. Features including microblogspecific and sentiment-related ones are introduced for sentiment classification. These sentiment signals are useful for Chinese microblog sentiment analysis. Evaluations on a balanced dataset are conducted, showing an accuracy of 63.9\% in a three-class sentiment classification of positive, negative and neutral. The features mined from the Chinese microblogs also increase the performances. Cross-lingual sentiment classification aims to predict the sentiment orientation of a text in a language (named as the target language) with the help of the resources from another language (named as the source language). However, current cross-lingual performance is normally far away from satisfaction due to the huge difference in linguistic expression and social culture. In this paper, we suggest to perform active learning for cross-lingual sentiment classification, where only a small scale of samples are actively selected and manually annotated to achieve reasonable performance in a short time for the target language. The challenge therein is that there are normally much more labeled samples in the source language than those in the target language. This makes the small amount of labeled samples from the target language flooded in the aboundance of labeled samples from the source language, which largely reduces their impact on cross-lingual sentiment classification. To address this issue, we propose a data quality controlling approach in the source language to select high-quality samples from the source language. Specifically, we propose two kinds of data quality measurements, intra- and extra-quality measurements, from the certainty and similarity perspectives. Empirical studies verify the appropriateness of our active learning approach to cross-lingual sentiment classification. Ontology is applied to various fields of computer as a conceptual modeling tool, and is used to organize information and manage knowledge. Ontology extension is used to add the new concepts and relationship into the existing ontology, which is a more complex task. In this paper, we propose a hybrid approach for ontology extension from text using semantic relatedness between words, which exploit co-occurrence analysis, word filter and semantic relatedness between words to find the potential concepts from text, denoted as the extended concepts. And we take advantage of extension rules and subsumption analysis to find the relationship between concepts, which is used to add the extended concepts into the existing ontology. The improved recall, precision and F1-Measure have been presented and used to evaluate our method proposed in this paper. Experimental results show that the proposed method is more reasonable and promising. It has a stronger competitiveness and application ability. Although recommender system has been studied for many years, the research of social recommender system is just beginning. Plenty of information can be used in social networks to improve the performance of recommender system. However, some information is very sparse when used as features. We call this feature sparsity problem. In this paper, we aimed at solving feature sparsity problem. A new strategy was proposed to expand user features by social relationships. Experiments on two real world datasets demonstrated that our method can significantly improve the recommendation performance. Expanding corpora is very important in designing a spoken dialogue system (SDS). In this big data era, data is expensive to collect and there are rare annotations. Some researchers make much work to expand corpora, most of which is based on rule. This paper presents a probabilistic method to simulate dialogues between human and machine so as to expand a small corpus with more varied simulated dialogue acts. The method employs Input/output HMM with user history (UH-IOHMM) to learn system and user dialogue behavior. In addition, this paper compares with simulation system based on standard IOHMM. We perform experiments using the WDC-ICA corpus, weather do-main corpus with annotation. And the experiment result shows that the method we present in this paper can produce high quality dialogue acts which are simi-lar to real dialogue acts. How to preserve and make use of ancient Chinese characters is not only a mission to contemporary scientists but is also a technical challenge. This paper proposes a feasible solution to enable character collection, management, and access on the Internet. Its advantage lies in a unified representation for en-coded and uncoded characters that provide a visual convenient and efficient re-trieval method that does not require new users to have any prior knowledge about ancient Chinese characters. We also design a system suitable for describing the relationships between ancient Chinese characters and contemporary ones. As the implementation result, a website is established for public access to ancient Chi-nese characters.